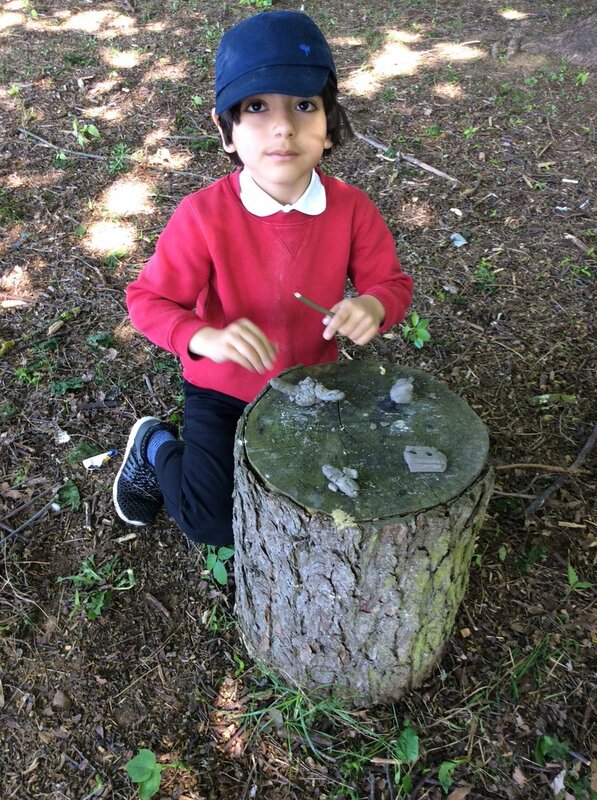 EYFS went on a bug hunt in the Wildlife Area - linked to the great Bug Hunt that is happening nationally. They then used our role play area to explore what they had found. On Thursday when we got to school we discovered a hole in our ceiling and a mysterious rocket crash landed in the classroom. We have been investigating what might have happened. We went out in small teams and interviewed people around school to see if they could help us. By asking lots of questions we discovered that food has been going missing, chairs, mugs and books have been moved and some people have heard strange sounds like banging and feet running on the roof! We think that perhaps somebody from the rocket might be hiding in the school. To help us learn more we took some samples from the crash and investigated them carefully. We used magnifying glasses to look closely and added water to some to see how they might change. One powder fizzed and dissolved when we added water; the moon rock just sucked the water up. Did you know that means it absorbed the water? We have been imagining what it might look like inside the rocket and thinking about what creature might have been inside. If you know anything that can help us do let us know! 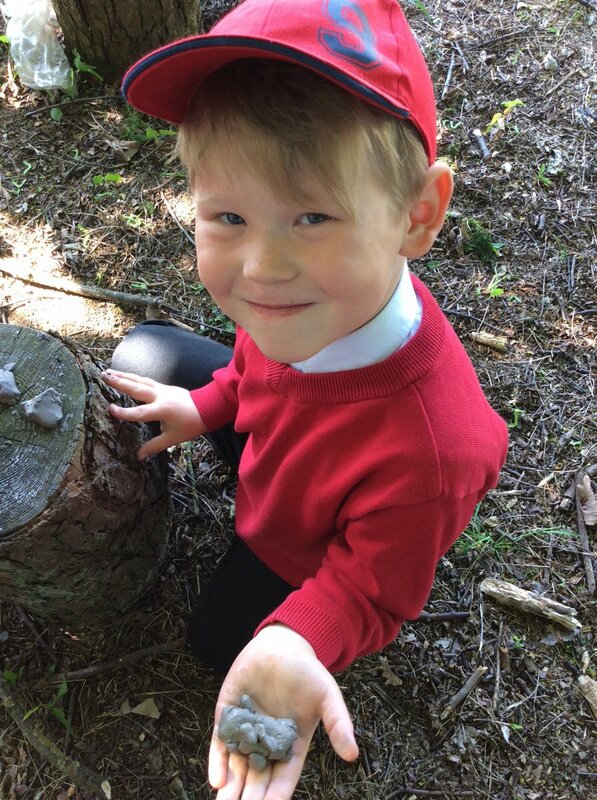 Year 2 went on a mini-beast hunt in the wildlife area to spot as many creepy crawlies as possible! 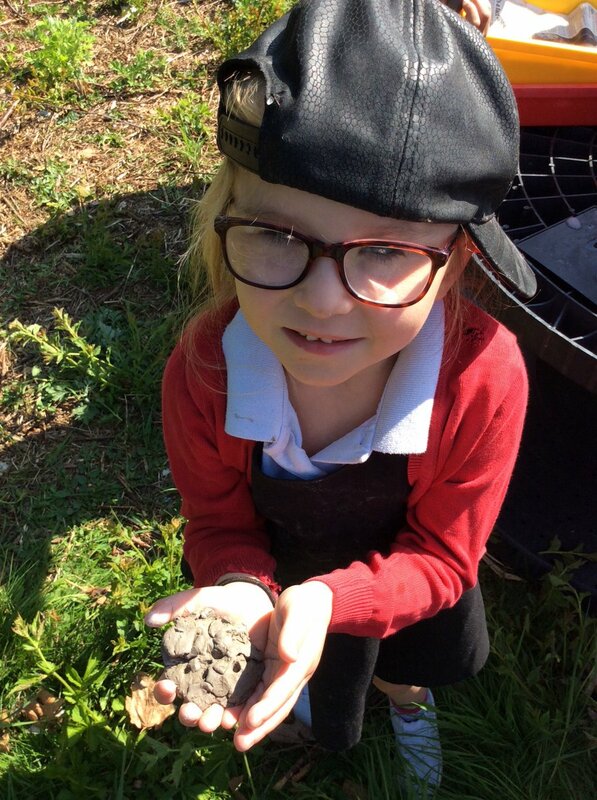 We found woodlice, bees, and even some frogspawn and tadpoles!